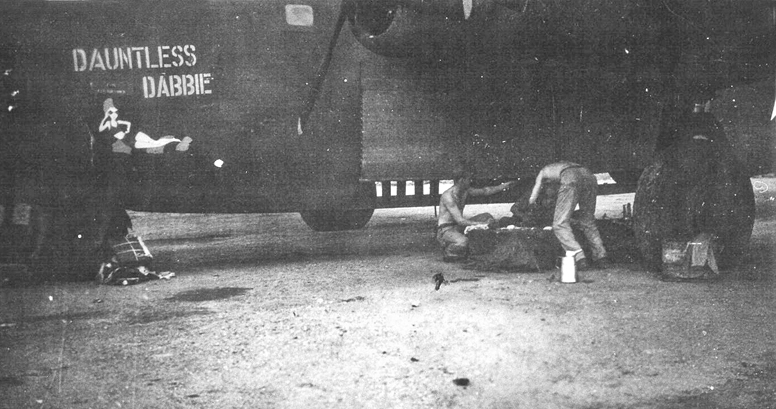 The last newsletter had an amazing photo in it of a 531st B-24D named Kathy sent in by an Aussie. Its serial number is 42-40517 and was lost in a mid-air collision between Ben Parker-531st and Phil Doornbos of the 530th. 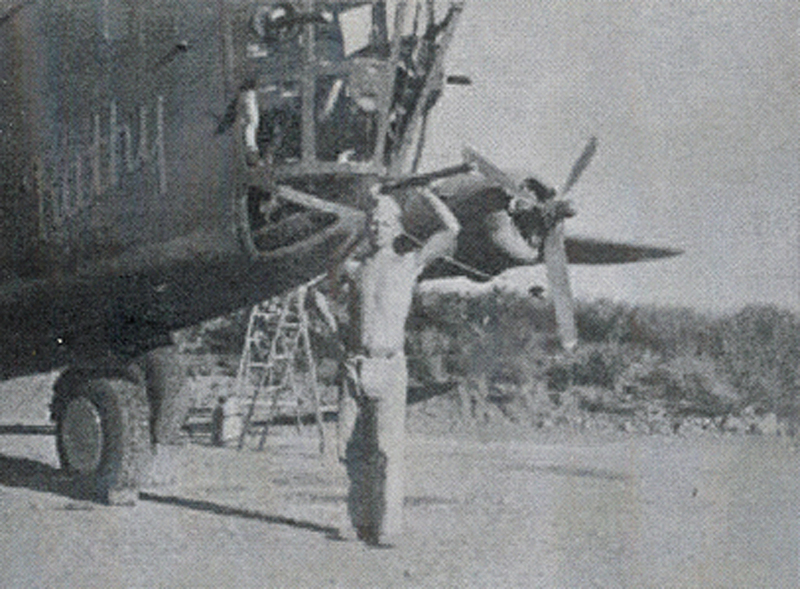 Doornbos's plane, Dauntless Dabby, 42-40528, had been shot up by flak over Rabaul 15 June 43 when, on the return flight, Parker wanted to take a closer look at the damage. Badly misjudging his position, he collided with Doornbos and then plummeted into the sea, all killed. Doornbos and Harold Mulholland, his CP, were able to effect a reasonable ditching. Two of his crew died. As for the identity of the man standing there, I would assume that it is probably one of Parker's crew members or a ground crew. To date, we have found no photos of MISS ELISE - if anyone has any, I'd appreciate a copy also for the 380th aircraft history. 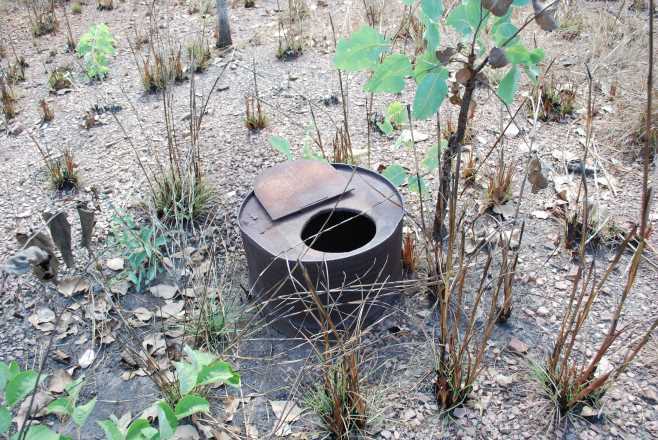 Find attached a photo of a single Latrine complete with a lid that I found at the site of the huge US hospital that was here at Adelaide River. I have walked the whole area and GPS marked every old foundation numbering 154, and I think there are more yet; I also have a Google Earth KMZ file with those points overlayed from the Garmin GPS, if you are interested. In the next couple of weeks I will be going down to Fenton and marking the Base Camp concrete pads too. Over 30 years ago, he started a prairie restoration and rebuilt an antique log cabin on the prairie's edge. 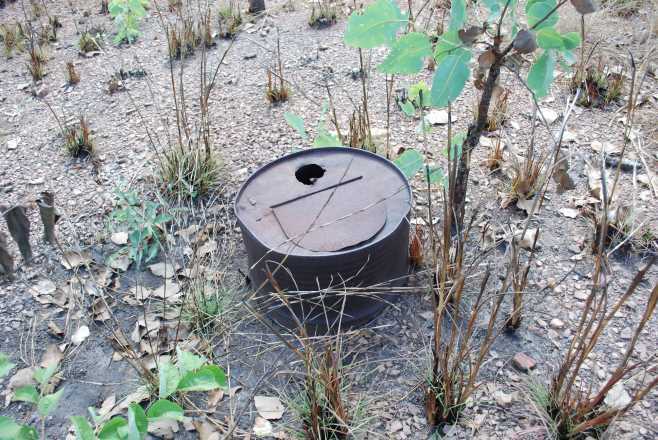 We are now working on the third log cabin and the prairie contains over 100 species of plants native to this area. I have heard many stories from Jack regarding his time in northern Australia. One of the better ones was a flight out of Adelaide. Apparently, the antenna on a B-24 was a weight of some sort suspended from a long wire. Someone forgot to reel in the weight and the weight went through a building or two in downtown Adelaide. Jack says the headline in the Adelaide newspaper a day or two later was, "Yanks Bomb Adelaide!" I would be interested in further information about the "bombing" should you have any. Jack is still in contact with Jack Banks. I think those two are the last of their group still living.